Hey guys! Today's look consisted of a little layering, something I'm extremely obsessed with right now. It's also a technique that's hitting the high street with quite a storm as well as arriving in perfect time for the colder weather. So we'll be kept lovely and toasty as well as being bang on trend? PERFECT. I dug out my cropped tartan jumper from Topshop, which I usually pair up with high waisted jeans and decided to add a plain white t-shirt underneath so that I could wear my jumper with something slightly different. I'm also a big fan of this jumper but find it's slightly awkward in length..
By adding a plain t-shirt underneath means I can wear cropped jumpers with my favourite pair of wet look leggings whilst creating a great layering look, which I think is super cute. It also plays around with different textures and colours! 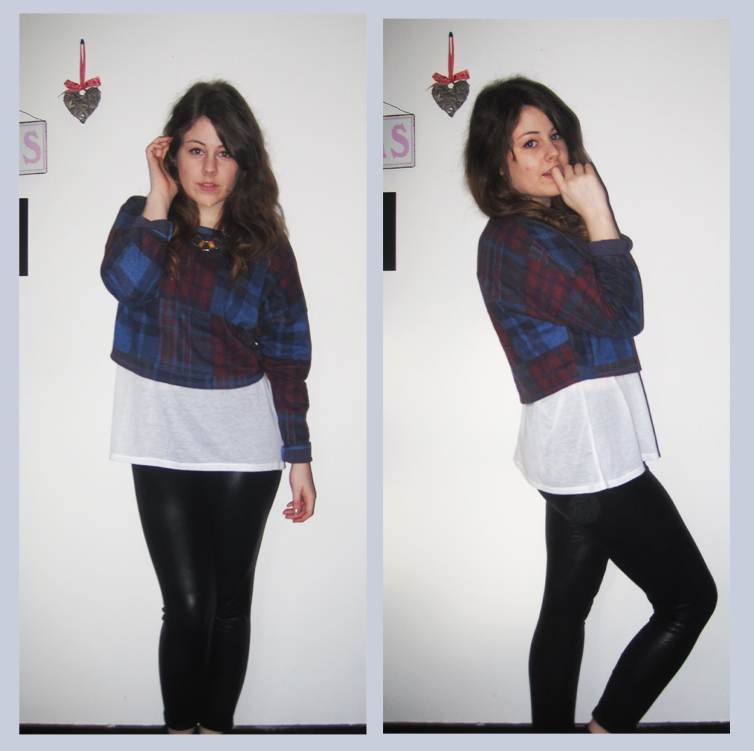 Worn with my wet look leggings and black Chelsea boots to create a really Urban feel outfit. I've also added a chunky gold chain necklace just for an extra dash of colour and as I always say.. you can never go wrong with a big old necklace!